Perhaps you are searching for your own answers - we all are…some time or the other. Or maybe you just need a break to get away from the trials and tribulations of the daily grind. Fulfilling to our guests’ wishes that if only we had a few more rooms they would surely come back with friends and family we have finally added 3 Cottages making a total of 4 Cottages and 2 Deluxe Double rooms now available at Windsongs to accommodate 12 adults. With an extra bed in each room we can accommodate up to 18 adults at any one time. 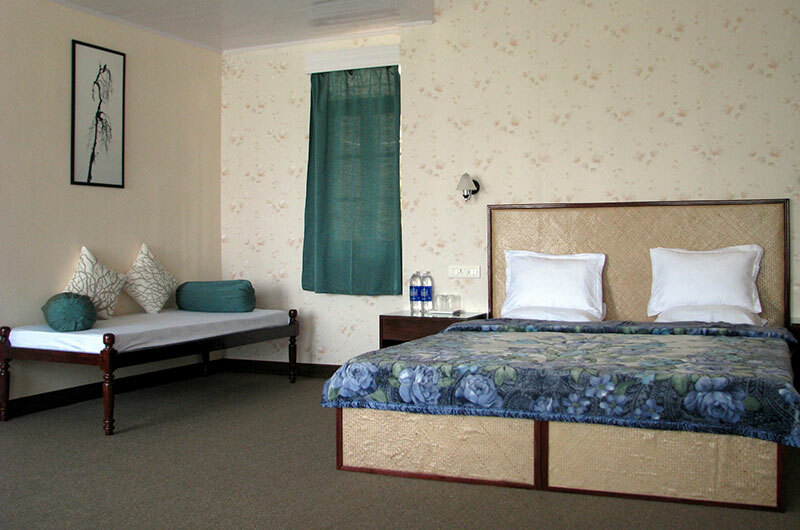 All the Cottages and Deluxe Double rooms have either a deck or a balcony. So come to Windsongs on group getaways with your friends and family. 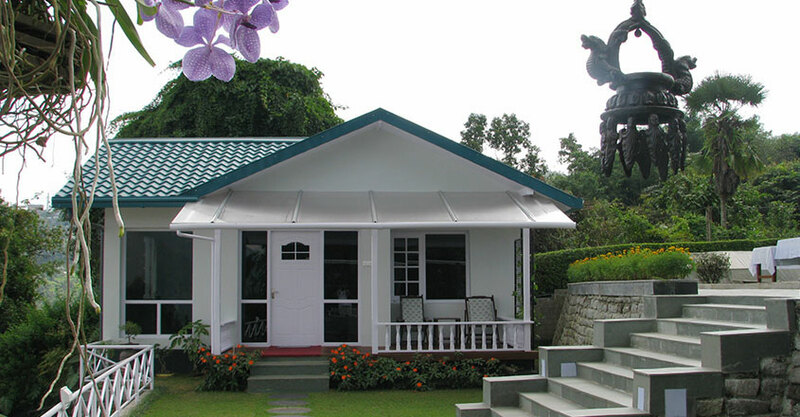 Windsongs is a luxury retreat located in the picturesque town of Kalimpong in the sub - Himalayan region of Darjeeling- a place which even the residents of the surrounding towns of Darjeeling & Sikkim envyingly call Heaven. With our eastern belief in reincarnation, we often tell our friends that as residents of Kalimpong, we must have done a lot of good in our earlier life to have been re-born here. Its 1200 meter elevation ensures a pleasant climate round the year so it isn’t a problem even if you come to our charming little town in the dead of winter. We now have four exclusive cottages and a separate block, which has the reception and dining room with two Deluxe Double rooms on the first floor - both with a balcony each. While we would love our guests to enjoy the gifts of Nature, we have not totally forgotten their worldly needs. 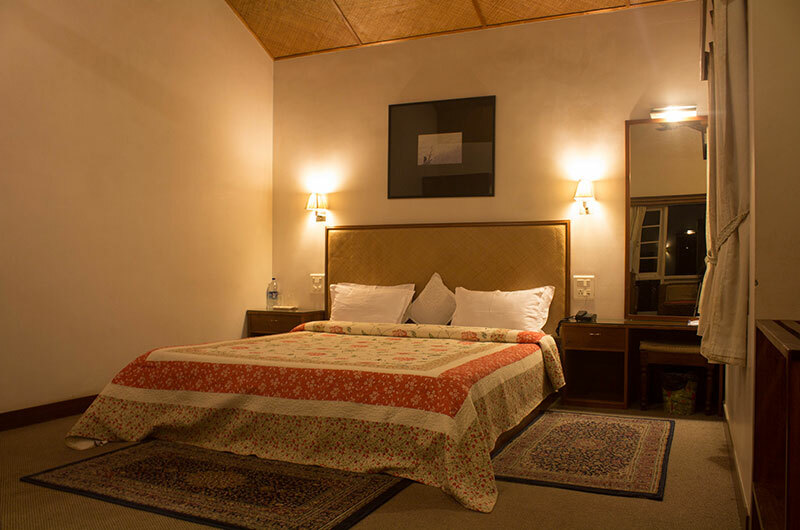 Our cottages and Deluxe rooms have most of the conveniences that you might want. Suitable for luxury stay, ideal for vacationers. There is a pleasure in the pathless woods. So come….come while these gifts of nature are still there to be enjoyed for it is but just a question of time before we too become more ‘concrete’ than natural. We might not be perfect but we’ll do our darnedest to make your stay a pleasant one. We hope to see you soon.